Paralegal careers have been around since the 1960’s when Congress, along with the American Bar Association, and other bar associations began trying to create a legal representation that was accessible and affordable to more people, regardless of socioeconomic positions. In 1971, the American Bar Association made the profession of paralegal legit, defining paralegals as “ a person qualified by education, training or work experience who is employed or retained by a lawyer, law office, corporation, governmental agency or other entity who performs specifically delegated substantive legal work for which a lawyer is responsible.” Learn more cool facts about paralegal careers by reading on. A paralegal is a person who is trained in legal matters but is not entirely qualified to work as a lawyer. Paralegals are integral to the legal system by acting as support to attorneys and working within other relevant industries such as corporations. Forty years ago, no one knew quite what to do with paralegals, so they worked as administrative assistants or secretaries. Nowadays, they take on much of the employing attorney’s caseload and are capable of doing pretty much everything an attorney does with the exception of trying a case in court. Tasks for paralegals will vary depending on where they are employed. Step One: Graduate High School or get a GED. You may need to provide proof when applying to schools so hold on to your high school diploma or GED certificate. Step Two: Choose which type of paralegal program you want to enroll in. There are so many options available. Two-year associate’s degree programs through community colleges, a bachelor’s degree in paralegal studies, or vocational school which can last three-18 months. Make sure the program is accredited by the American Bar Association. Step Three: Finish your chosen paralegal studies program. More firms are looking for paralegals who have specialized so check with your program to find out if specializations are offered. If your program is not an accredited one, you may have problems finding a job. Step Four: Consider becoming certified. While not all employers require their paralegals to be certified, it can add a nice shiny gold star on your resume. The National Association of Legal Assistants offers certifications for paralegals. Certification is voluntary and is not enforced. WHAT IS THE DIFFERENCE BETWEEN PARALEGAL, LEGAL ASSISTANT, AND LAWYER? Once upon a time, paralegals and legal assistants were considered one and the same. More recently, legal assistants now provide more of the administration help, where paralegals assist the attorney as they work up the entire case from start to finish, with the exception of presenting it to the court. The difference between a paralegal and a lawyer, while they do have some similar responsibilities, are far greater than the differences between the legal assistant and paralegal. Lawyers have to go for more schooling, and they take an exam called the Bar Exam which allows them to practice law on their own. Paralegals can only work under the direct supervision of an attorney. Paralegals can sit in on depositions, but only the lawyer can conduct them. And, the average annual salary for an attorney is over $115,000 compared to the paralegal's average salary of $48,810. As with any career, there are skills you should have in order to succeed. Don’t worry if you don’t possess all the skills, some of them are taught and learned, as opposed to being born with them. Communication skills: Because there is a high volume of information being passed between the lawyer, the paralegal, and all other individuals connected to a case, it’s important to be able to document and present information in a clear and concise manner. Computer skills: Research, litigation, organizing documents are all done via a computer. So, having working knowledge of computers and the appropriate skills that go along with that are crucial to the role of paralegal. Interpersonal skills: Paralegals work with all types of people, from lawyers to clients. A good paralegal has superb people skills which allows them to connect easily with others. Organizational skills: Loads of cases come across a paralegal’s desk. If organization isn’t their forte, they may find it difficult to keep track of each case which could jeopardize the outcome, as well as their job. Research skills: Much of a paralegal’s job is spent doing research so it’s probably a good idea to perfect research skills if becoming a paralegal is being considered. Writing skills: Legal documents such as summaries and depositions need to be written. While it’s not necessary to be Hemingway, strong writing skills are still required. Highly Ethical: In law, there is a strong client-lawyer confidentiality. Paralegals are included in this commitment and are expected to adhere to these standards. Actual interest in the law: Paralegals, because they are working within the law, should actually hold a strong interest in the law and all its issues. There are many different specialties for paralegals to consider. There are ten types of specialized paralegal careers, to be exact! Wherever lawyers specialize, so can paralegals. Intellectual Property Paralegal is one of the higher paid types of paralegal careers, bringing average paychecks of $67,000 annually. Most of their time is spent researching so they have very little to do with client-facing interactions. Perfect type of position for those who enjoy the research aspect of law and aren’t necessarily a people person. Family Law Paralegals assist the attorney in matters of divorce, child custody, and other family matters. In family law, meeting with the clients is a necessary part of the position. The average salary of a family law paralegal is right around $47,000 annually. Estate Planning aka Probate Paralegals deals in wills, trusts, and Power of Attorney legal matters. They may help prepare the estates of elderly clients (or those who believe in early preparation), or they may aid relatives who are trying to claim their inheritances. The average salary of an estate planning or probate paralegal is between $40,000-$50,000. Corporate Paralegals can earn well over $70,000 annually, on average. The corporate paralegals spend a lot of time reading over documents or creating them, all to ensure they are in compliance with federal, state, and local laws. Corporate paralegals are employed by the actual corporations and work alongside the corporate legal team. Real Estate Paralegals work in all areas of real estate, performing title searches, preparing deeds, and looking over leases, contracts, and sales of all types of properties. Usually, law offices, government agencies, and real estate and title firms will hire Real Estate Paralegals. Labor and Employment Paralegals assist attorneys in matters of employment. Such as, hiring and firing, discrimination in the workplace, sexual harassment, and other issues employees may face. Bankruptcy Paralegal is one of the most common specialties, and there are a lot of jobs available. They help the attorneys on anything to do with bankruptcy, whether it’s for an individual or company. The average salary is in the mid-$40,000 range. Litigation paralegals take care of clients who are being sued. They’ll file the documents, do research, interview, gather evidence, and other actions about the litigation. $49,000 is average for the salary of a litigation paralegal. Immigration Paralegals help immigrants become citizens of the United States. It can be helpful for immigration paralegals to be fluent in other languages besides English so that they can better understand and assist their clients. The average salary is just over $47,000 annually. Consumer Paralegals do not work directly with an attorney. The consumer paralegal is able to solicit their service directly to the consumer. Consumer paralegals will draft letters, and file complaints against a business or company on behalf of their client. The consumer paralegal makes $48,000 annually, which is the average for paralegals according to the Bureau of Labor Statistics. There are a few different educational path choices you can make if you’re thinking about becoming a paralegal. Associate’s degree: These two-year programs through community colleges are the most typical and popular choice for becoming a paralegal. Two-year diplomas can also be achieved through online paralegal studies. Bachelor’s degree: Despite the popularity of the associate’s degree, most employers are leaning more towards hiring paralegals who have their bachelor’s degrees. Master’s degree: With a master’s degree in paralegal studies, you can teach those studying to be paralegals. Also, master’s degrees in paralegal studies allows you to specialize in areas such as intellectual property law, and some areas of corporate law. Depending on which path you walk along will be the determining factor on how long it will take and how much it will cost to become a paralegal. If you are attending a college or university and will be living on campus, keep in mind that there will be additional costs for food and housing. Financial aid options with your chosen school may be available so check with the financial aid office to find out the specifics. The course names may be different, but the basics are all similar, especially in accredited paralegal program classes. Intro to law which will provide the student with legal terminology. Legal Research, Civil Litigation, and Legal Writing are probably the most important classes in the curriculum because it teaches the students how to handle cases from beginning to end. Legal Ethics introduces students to the basics of ethical law. Criminal law introduces the student to what defines crimes against people and property. Patents, trademarks, and copyrights teach intellectual property types and how to protect from infringement in the United States and overseas. Document preparation instructs the paralegal students how to draft, edit, and prepare legal documents. There are so many scholarship opportunities available to those headed into paralegal study programs for all educational levels. The first step to take when trying to find scholarship money is to fill out the FAFSA. National Federation of Paralegal Associations: The National Federation of Paralegal Associations offers a few scholarships that are available yearly. Some of their scholarships offer up to $3500 per year. There are qualifying factors such as academic excellence and essay writing skills. American Association for Paralegal Education offers the essay-based LEX Scholarship which awards $500 to students pursuing paralegal studies. Legal Leaders of Tomorrow Scholarship grants $1000 scholarships towards students pursuing a certificate or undergraduate degree in legal studies. The student must have a 3.0 GPA and be planning on attending an accredited paralegal program through a college or university. A 200-300 word essay is required. There are many scholarships available that are state or county specific, as well. Be sure to check with your financial aid office, they should be able to guide you toward the money. More scholarship information is available here. The Bureau of Labor Statistics states that the employment outlook for paralegals is expected to grow 15 percent through 2026. 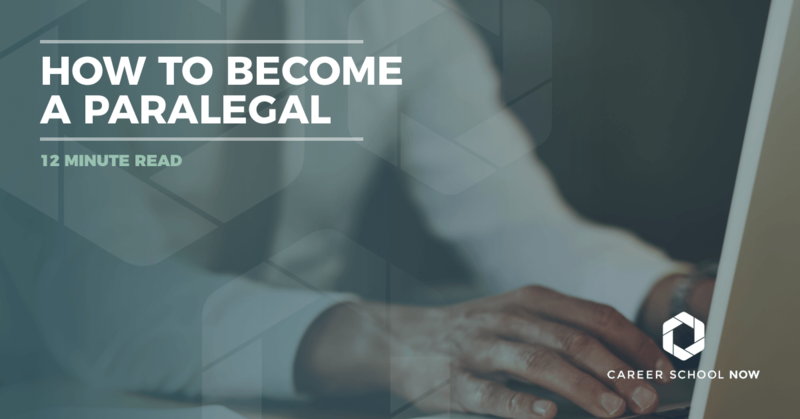 The average employment growth is around 5%, so the paralegal profession is going to experience a faster than average movement in job opportunities. The cause for the growth is based on law offices trying to make legal representation more affordable. Paralegals, while they bill hourly, are much less expensive than hiring an attorney. Another factor is corporations hiring law staff in-house which is more cost effective than keeping attorneys on retainer. Those paralegals who specialize, and who are formally trained and experienced should have an easier time finding a job in this highly competitive field. The Bureau of Labor Statistics website reports that as of May 2015, the median annual salary for paralegals was $50K. Entry-level paralegals can expect to earn an average yearly salary of $31,130. Paralegals in the top 10%, or who have had years of working experience, are reported to have made, on average, $81,180. However, salaries are dependent on factors such as which industry and geographic location, as well as expertise.